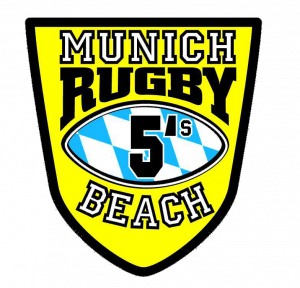 The new 2013 Beach Fives Rugby season in Europe is expected to start a little earlier than usual with the inaugural staging of the MUNICH BEACH 5’s RUGBY tournament on 9th February 2013. For our Bavarian ‘bruders’, the fact that they are at least 500km from the nearest quality beach is only a ‘MINOR’ detail. Being innovative and mad as they are, they have decided to create a beach of their own….INDOORS…… in down-town MUNICH City. The tournament is being organised by a crew from the Munchen Rugby Football Club, so for all those Players & Fans who are planning to participate, we expect you will be treated to an awesome weekend in Bavaria’s beautiful capital. Naturally we don’t need to remind anyone that Munich is the home to the world famous Oktoberfest !! Needless to say, we’ll be sending ‘at least one’ of our official SB5 observers to sample the unique atmosphere of Beach 5’s Rugby ‘Bavarian style’ ! Beach 5’s, Beer & Bavarian Wurstel…dare you miss it ! And don’t forget, make a note in your new 2013 Diary…. 2 Grand Titles. 1 Awesome Weekend. THE BEACH ARENA, LIGNANO SABBIADORO, Friuli Venezia Giulia, ITALY.